The Primary Peach: Get a Fresh Start: Get Organized With Your Computer Desktop Files! Get a Fresh Start: Get Organized With Your Computer Desktop Files! Hello To All! I hope your break was a wonderful time for you and your family! I don't know about you, but I love any organizational tip I can get to make my personal and teacher/professional life more consistent and productive. Let's face it, we work hard as educators, and the more organized we are the more productive we are. Let's start with how to organize another aspect of your everyday life and that would be your computer at school and/or at home. 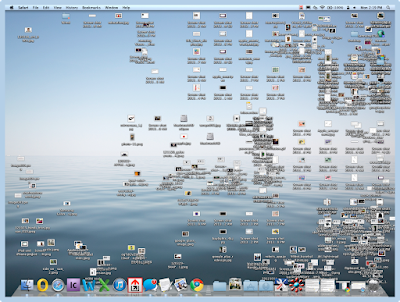 For a long time I have had a terrible time keeping my desktop clean and claimed that my desk was not a mess but uniquely organized. Um, yeah, I now call that "denial"? Here is what denial looks like and oh my goodness! OK, so I found myself on a mission to clean up and organize my Mac and all it's visual insanity. I HAD to come up with a way to know what was what and what to do with all the CHAOS! So, the idea I came up with was to design something that would work for me as a teacher, blogger, mother, grandmother, and TpT seller. As if being a teacher wasn't a crazy enough life, right? 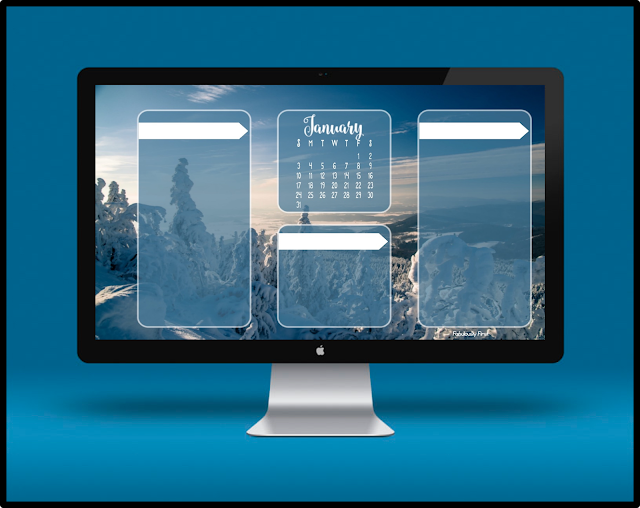 I like "change" and I like "organized" and I like "pretty", so I came up with a monthly digital desktop organizer to meet all my needs for each month of the year. Here is what is looks like but it is not personalized or with folders and labels just yet. 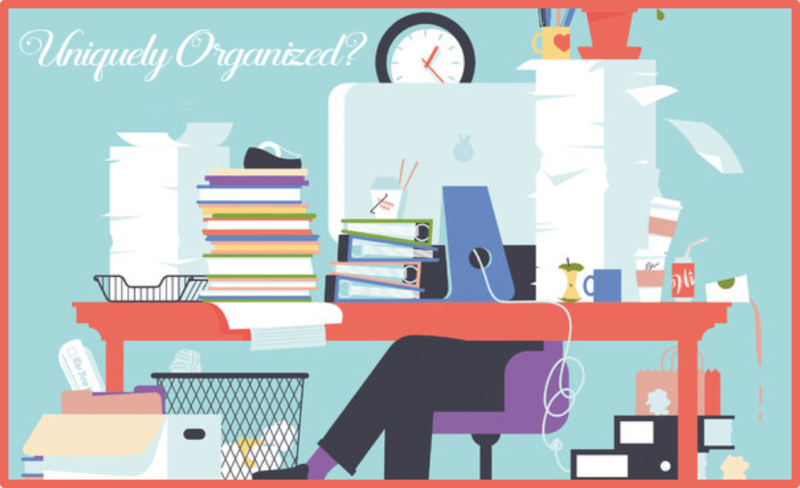 Are you ready for a freebie to keep you organized? Of course you are! Click Here to Download Your Freebie! Here is a guide to give you an idea of which size you might need to use for your computer once you have downloaded your free organizer. To put the labels on my desktop organizer I use PicMonkey and it works great. You can find tutorials out there to assist you in getting all set up. For even MORE ideas from The Primary Peach, be sure to follow us on Instagram, Pinterest, and Facebook! 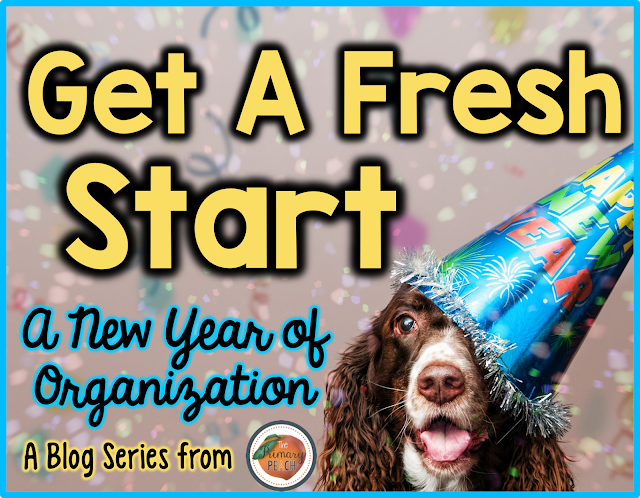 Fresh Start for 2016- Organizing Technology! Get a Fresh Start: Get Organized With Your PHONE!